Iceland – needn’t have panicked! I don’t want to speak too soon, but it looks like Plan A is back on! 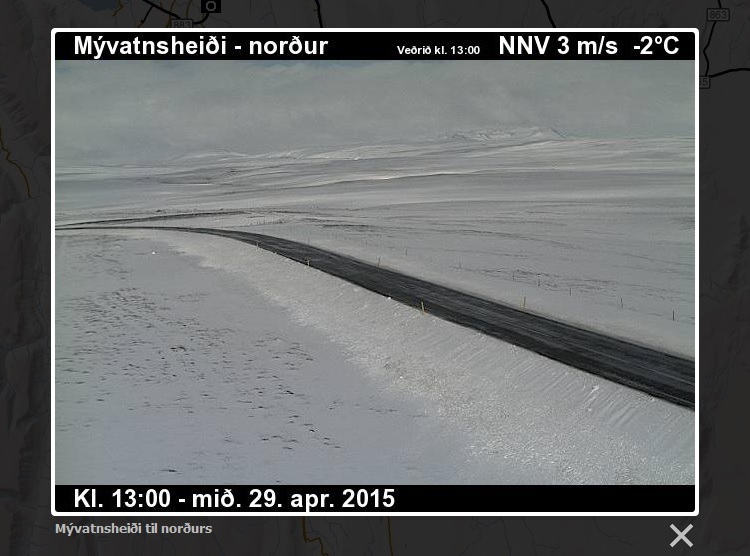 Knowing that Iceland has had a fair bit of snow recently, this morning I decided to look at the road conditions. 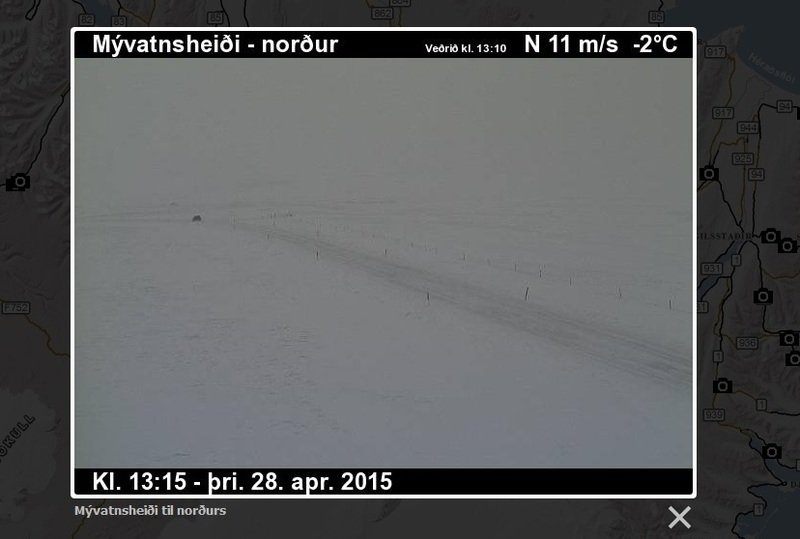 Uh oh…..
First thing this morning, the ring road from around Breiðdalshreppur to Myvatn was labelled as ‘impassable’, although that has now been reduced to ‘extremely slippery’ and ‘difficult driving’. It seems they work really hard to get the roads cleared and open, but we may need to have a backup plan in case we can’t drive through the north east. Drats! At the tender age of 16, whilst at drama college, I met and became friends with the beautiful and incredibly talented Anita Briem. Anita hailed from Reykjavik and often used to show me photos of where she grew up. From that point, I desperately wanted to visit Iceland! Fast forward 15 years, and I now find myself just a few days away from what I’m certain will be one of the most epic trips I’ll ever take. I am travelling with my friend Irene who, like me, has wanted to go to Iceland for a long time, with her semi-recent move from Canada to London making it much easier! Head home – sad times! Although some people have managed to squeeze the Western Fjords into a 6 day Ring Road itinerary, Irene and I decided that it might be a push too far so we actually have a bit of wiggle room on days 4 & 5 if we end up a bit behind schedule. 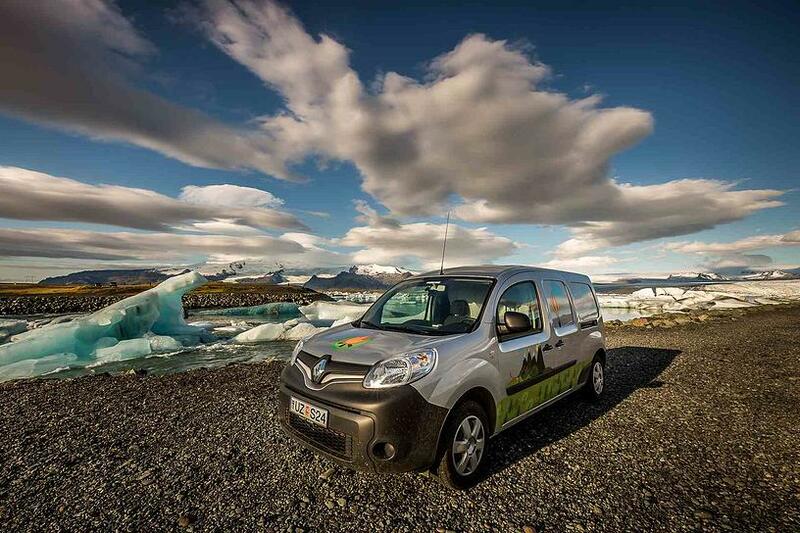 We initially looked at booking hostels/guest houses along the route, but soon realised that would be quite restrictive and put pressure on our already tight itinerary, so we got in touch with Campervan Iceland and have hired a Campervan Play which is basically a Renault Kangoo kitted out with a bed in the back. The van also comes with a table & chairs, sleeping bags, pillows, a camping gas stove, as well as pots, pans & kitchenware. Iceland has a law of survival which allows you to to camp/sleep anywhere for a night, meaning it is totally acceptable to park up and sleep right next to some of the worlds most amazing natural sites and landscapes. During our trip, Iceland will be averaging around 17 hours of sunlight each day, with the sun rising at around 5am and not setting until 10pm, so we hope that will help us to keep going on the road that little bit longer. Canon 1000d with 50mm & 85mm prime lenses. Write up about my luxury trip to Dominican Republic with my friend Scott to follow.